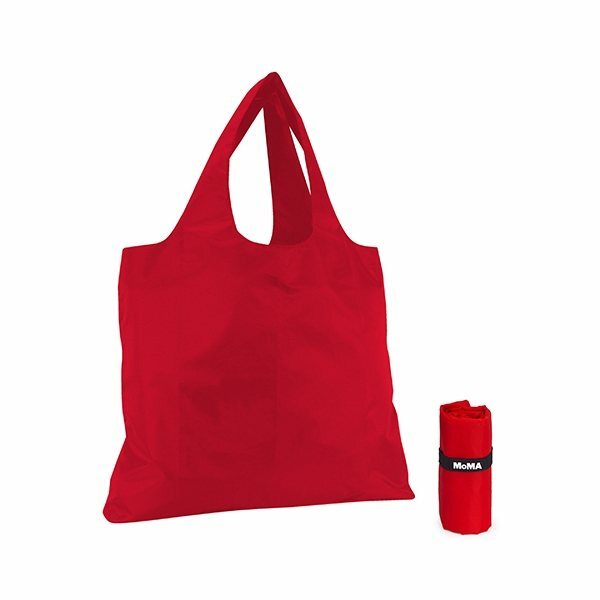 Reusable nylon fold-up tote with elastic loop closure and molded rubber MoMA logo tag. the customer service at AnyPromo was also fantastic - they made it so easy to customize this bag with our original logo. This bag can't be beat for the price! Outstanding value! My product was a huge hit at my trade show. people were asking were they came from. Excellent quality overall. The product was well received. You really keep your word in keeping your customers 100% satisfied! A big hit on our I.T. convention this year. It was fun and it attracted people to check out our wbsite which is good. Perfectly sized for any Trade Event giveaway. Top quality. Simple to operate. We received great feedback of the imprint. Everybody has them on their desks, engaged in various activities, and accented with various drawn on or taped/glued on accessories. They're a hit... I need to order more. Great product, I will be a return customer.